Manitou Springs is a quaint mountain community nestled at the base of Pikes Peak in Colorado. The city has its roots in the gold rush and railroad expansion of the mid-1800s. Historic buildings and stone bridges, walls, and staircases abound along the narrow, winding roads—many of which crisscross picturesque Fountain Creek, which runs the length of the city. Another feature that defines the area is its unique geology. Twelve natural, effervescent springs bubble up through a series of cavernous aquifers below the valley floor. Long before western expansion of the United States, Ute, Cheyenne, Arapaho, and other plains tribes stopped at the springs to enjoy its healing waters. Manitou Springs, Colorado, is a quaint mountain community with historic buildings and winding roads and stone bridges that intersect with the picturesque Fountain Creek. The beauty of Fountain Creek and the mineral springs gave Manitou Springs its identity as a place of healing. Early settlers built their homes along Fountain Creek, which provided immediate access to water and the bounty found in the lush valley. But over the years, the creek has been diverted, built over, and neglected. As a result, the creek has not manifested its full potential as a public space that connects people and promotes their well-being. But that’s about to change. The city plans to spend $12 million building a two-mile walk along Fountain Creek. The Manitou Springs Creek Walk will give residents and visitors safe walking, biking, and running routes that are connected to local shops and restaurants. In addition to promoting active living, the creek walk will reduce traffic congestion and improve environmental quality. At the outset of the project, the city formed the Creek Walk Steering Committee, which faced the challenging task of uniting a diverse set of stakeholders who sometimes have competing interests. To analyze different design scenarios and create maps that show alternative routes, the committee employed ArcGIS technology along with geodesign—a powerful planning method that uses stakeholder input and spatial analysis to show the possible impacts of all design options. 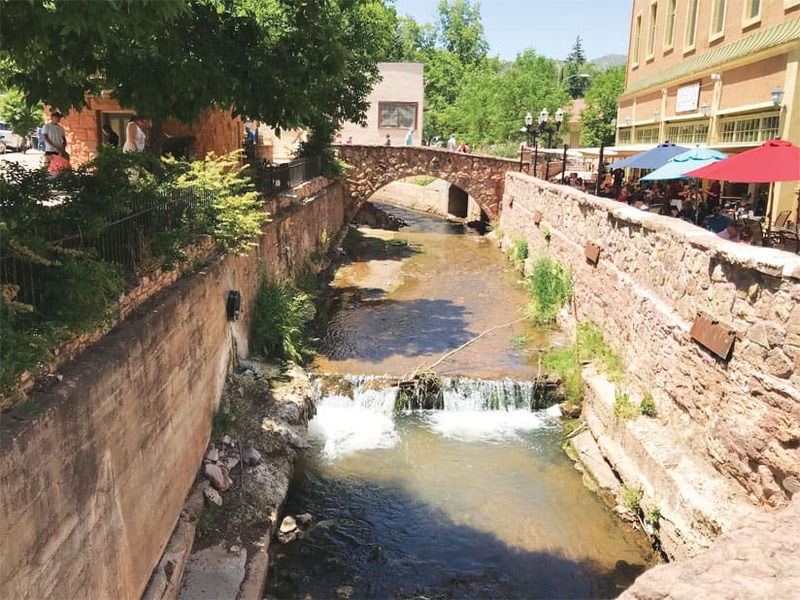 Since 1989, the City of Manitou Springs had envisioned that a creek walk would be an attractive public space where people would want to spend time and socialize. So finding the right route was important. One of the first things the Creek Walk Steering Committee and its consultants did was traverse all possible creek walk routes, noting on a map which segments would be either suitable for such a walk or capable of supporting one. 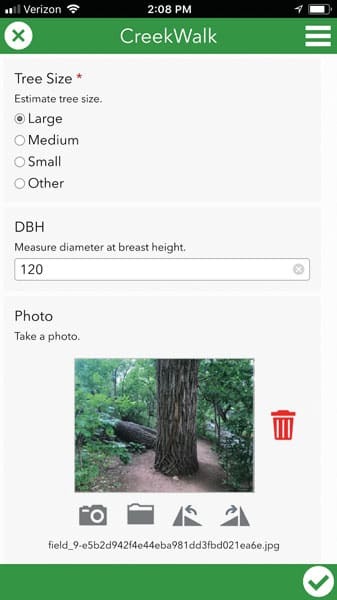 Survey123 for ArcGIS was used to map the locations of historic trees; erosion; and sites for potential low-impact development, such as detention ponds or rain gardens. There ended up being at least 12 route options to choose from, as well as several possible combinations of routes. Routes should be walkable and bikeable. They should comply with the Americans with Disabilities Act (ADA). Routes should be near enough to the creek that visitors can see and hear it. Routes should use existing pathways and easements (or be on parcels where easements could be easily acquired). Areas should be dominated by parks, trees, and meadows, creating a natural setting. 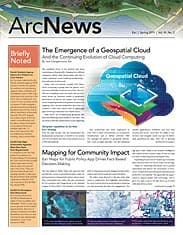 These criteria would later be used to develop spatial models using ArcGIS Pro. But first they had to be vetted. 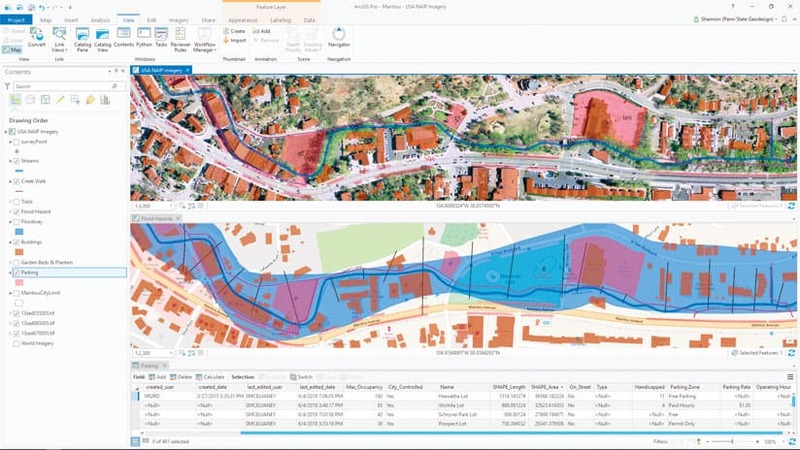 Seeking input from stakeholders is an essential part of the geodesign process that typically helps clarify requirements and validate assumptions. The consultants conducted two stakeholder workshops to get this input. During the site investigation of the creek walk routes, the consultants used Survey123 for ArcGIS to map important trees and areas suitable for low-impact development, such as detention ponds or rain gardens. The first was held in June 2018 with a small group of active community leaders from Manitou Springs who represented residents, business and property owners, local government executives, and visitors. These workshop attendees reviewed the list of desirable attributes and offered additions to it. The stakeholders wanted to accentuate the value of the creek itself as part of Manitou Springs’ identity. They stressed the importance of the creek’s stone bridges and nearby mineral springs; the quiet areas frequented by deer, ducks, and foxes; the spots where people can get their feet wet on a hot day; and places such as restaurant patios where people can just enjoy the sound of the creek. This aha moment was a positive, unifying realization that became an important theme of the citizen engagement workshop. Next, it was time to build spatial models to evaluate alternative routes. The consultants used out-of-the-box ArcGIS Pro tools to develop route maps. They relied on heat map symbology and graduated symbols, as well as the Buffer, Spatial Join, and other tools. To ascertain whether a route was bikeable, safety was the deciding factor. The consultants used a simple overlay of road data with vehicle speed limits and congestion to determine bicycle-friendly routes. Shade was an important physical and temporal criterion for evaluating walkability, since people are more likely to walk along shaded pathways to avoid the hot sun. 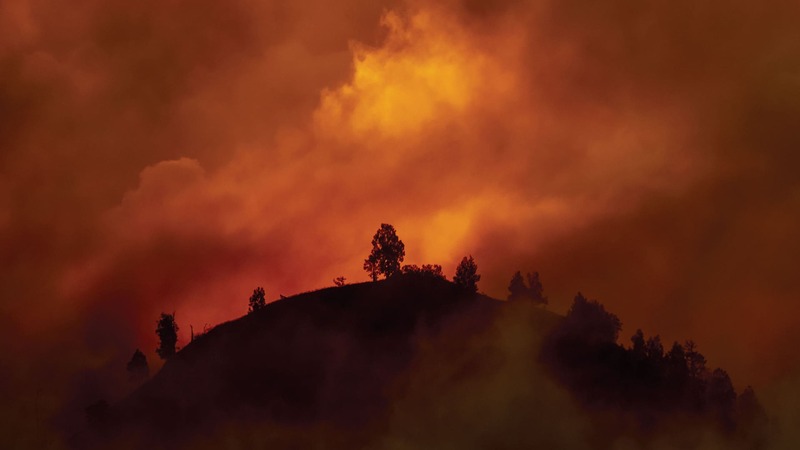 In identifying which routes have more shade, the consultants used ArcGIS Pro to create a heat map that showed the relative density of more than 2,000 trees. Alternative routes were overlaid with the resultant shade map, and locations along the routes were compared with photographs taken between 1:00 p.m. and 2:00 p.m.—typically the hottest time of day during summer—to validate the accuracy of the shade map. Moreover, one resident said that he wanted the creek walk to be aesthetically pleasing and enjoyable. So the consultants made another heat map to evaluate this subjective concept. But it raised a new question: What would that look like? A list of criteria began to take shape: art, historic architecture and trees, beautiful views, geologic formations, ponds, and waterfalls. And when the committee added enjoyment to the list, the criteria grew to include benches, informal seating, outdoor dining, interesting shops, bathrooms, parking, and other amenities. To create the Aesthetics and Enjoyment spatial model, the consultants mapped all those elements and produced a heat map that shows the concentration of these important features along the various routes. During the stakeholder workshops, participants were introduced to potential hazards and construction issues that could impact safety and cost, including flood zones and parking options along the different routes. The consultants also made thematic maps that displayed the routes that passed near businesses, either directly in front of them or within sight of them. Additionally, they combined map layers showing parcel ownership, land-use type, existing right-of-way, and information on easement status to make the Easement Status map. In September 2018, the consultants presented all three design options along with the evaluative maps to approximately 50 community and organization members who attended a much larger citizen engagement workshop. Participants broke up into groups of four or five per table to map their own routes. Each group then reported its designs to the rest of the workshop attendees. Several major themes or messages arose from the group mapping efforts. The creek walk should be a system of trails with strong connections to other trails. Walking and biking paths should be separate. Natural-setting areas and parks should be left alone and spared from concrete. The Combo Walk and Bike option was ultimately chosen, expanded, and improved on by the stakeholders, creating an integrated system of trails. The recommended creek walk design now consists not only of a primary, paved, ADA-compliant multimodal route but also secondary walking trails, a road bike path, a potential one-way bike track, and significant connections to existing trails and important destinations. The Combo Walk and Bike design combines the preferred routes from both the Cyclists Rule and the Nature Walk to Shop options. For the walking crowd, the designs are ADA compliant, and the routes allow cyclists to either reach downtown easily or bypass it altogether. 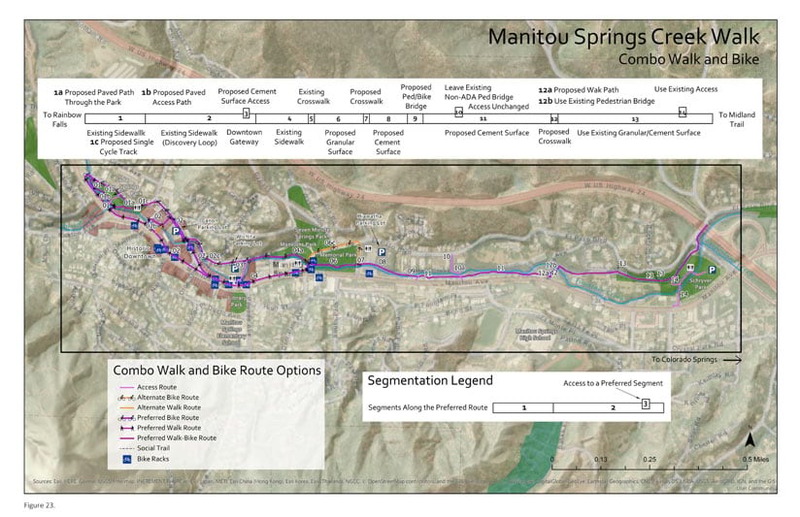 By October 2018, the City of Manitou Springs Creek Walk Master Plan was fully accepted by the planning commission and the city council, and design drawings were drafted for the first segment. What started as a $100,000 master planning project is expected to turn into a $1.3 million effort by June 2019. Completion of the creek walk is estimated to cost $12 million, the vast majority of which will be funded by grants. That said, a plan is just that—a plan. Over time, it will likely change as people come and go. But with the right values and rationale for decision-making in place, the next leaders will be able to pick it up, understand how decisions were made, and carry the project forward. That is part of the beauty of the geodesign framework. The City of Manitou Springs continually fosters citizen engagement, which supports community-driven decision-making. There is also a strong desire to use science to inform those decisions. Geodesign upholds those goals, improving both the quality and creativity of decision-making. The Creek Walk Steering Committee’s open, collaborative planning effort was very positive. Everyone felt that their voices were heard. The integrative, values- and science-based geodesign approach virtually eliminated conflict, making mutually beneficial deliberation possible. By engaging stakeholders who represent economic development, residents, government, and visitors, the creek walk blossomed into an important city asset that should benefit businesses, cyclists, and nature lovers. It became something more than its individual parts. Shannon McElvaney is the director of geodesign at Jacobs, which provides advanced planning design strategies and services. He focuses on broadening the use of geodesign in the planning and design of smart, sustainable, and resilient communities. 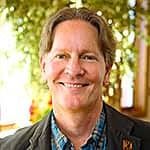 McElvaney also is the chief geospatial officer at Whole Infrastructure Systems for Resilient Development (WISRD) and an adjunct professor of geodesign at Penn State University. Follow him on Twitter at @geozenn.